Haejoo Group maintains a long track record of delivering effective solutions to these global issues by developing sustainable artificial reefs, with more than 50,000 reef units deployed in coastal waters in Asia Pacific. They have contributed to restoring of marine eco-systems and have been successful in reversing the decline in fish population in these areas. 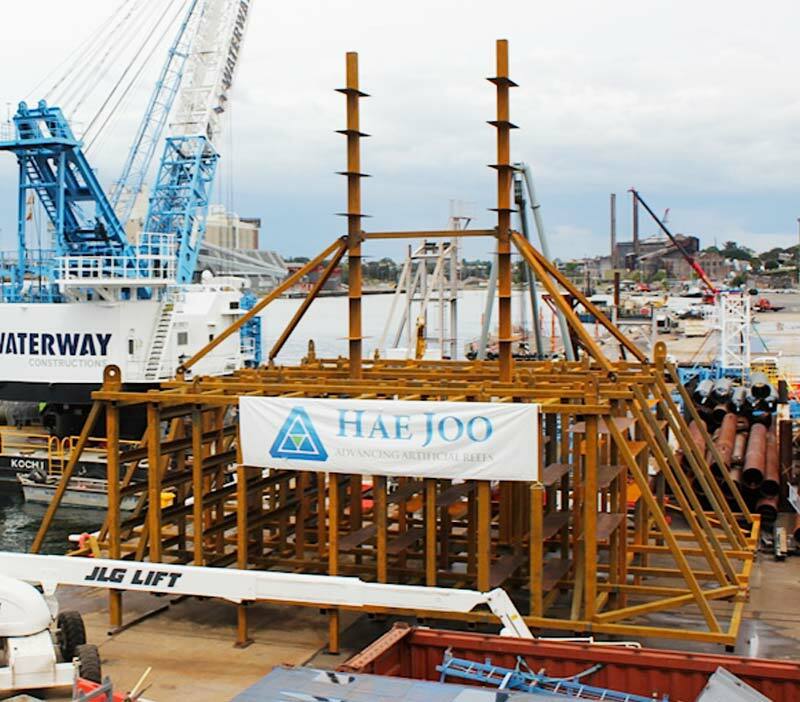 Haejoo Group also maintains a comprehensive portfolio of artificial reef modules customised for the enhancement of different marine species and hold numerous patents related to reef design and fabrication. These artificial reefs have successfully demonstrated their sustainability and capability in enhancing fishery biomass by 8 times in vicinity of the deployment within 2 years. Haejoo Group is now dedicated to providing a complete solution for implementation of sustainable artificial reef programs, working closely with stakeholders, governments, NGOs and companies, whilst aspiring to the highest environmental, sustainability and quality standards from design to implementation processes. Haejoo Group looks forward to demonstrating our expertise in the successful implementation of marine farm initiatives around the globe in need.